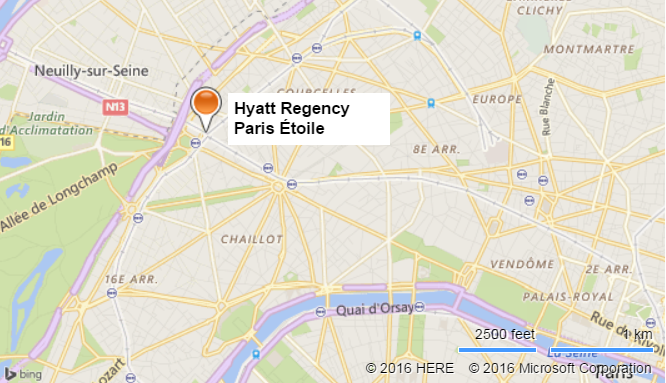 The IEEE ICC 2017 has chosen as its headquarter hotel, the Hyatt Regency Paris Etoile. Most of the conference events (i.e. Conference Registration, Keynotes, Technical Sessions, Tutorials & Workshops) will be held at the Paris Convention Centre (Palais des Congrès, level 2 and 3). The Awards Luncheon as well as the IEEE Communications Society Committee Meetings will be held at the Hyatt Regency Paris Etoile. 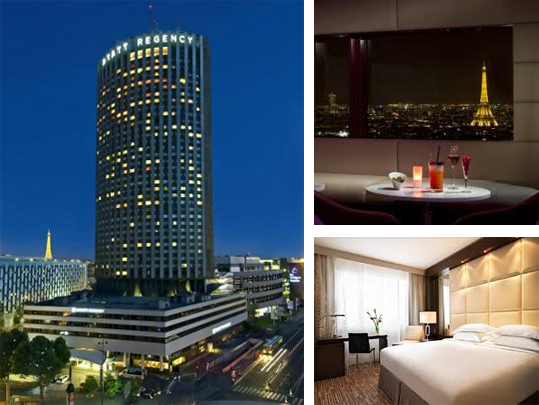 The following hotels provide special rates for ICC participants: 1) Hyatt Regency Paris Etoile, and 2) Le Meridien Etoile. See below for the details. Inclusive of 10% VAT. Daily buffet breakfast. Wireless Internet Access is inclusive. Cut-off date is 18th April, 2017. Reservation received after the cut-off date will be base on availability. Reservation should be done online. Click here (or the left button on top of the page) to benefit from the special Hyatt Hotel rate & book directly online. The reservation has to be guaranteed by credit card: A non refunding deposit corresponding to 2 nights will be charged at the time of the booking. Total cancellation of the reservation until 18th April, 2017, two (2) nights is non refundable. From April 17th, total cancellation, the Hotel will forfeit the entire duration of stay and will charge the individual guest’s credit card. Requests for early check-in will be subject to space availability, however to guarantee early check-in, the room must be reserved for the night prior to the guest’s arrival. Request for late check-out is subject to space availability. Any no show on the scheduled date of arrival, the hotel will automatically charge the entire duration of the stay and the room (s) will be released for general sale. Le Meridien Etoile, 81 Boulevard Gouvion Saint-Cyr, 75017 Paris, FRANCE. Group rate available until May 6, 2017. Subject to availability. Reservation should be done online. 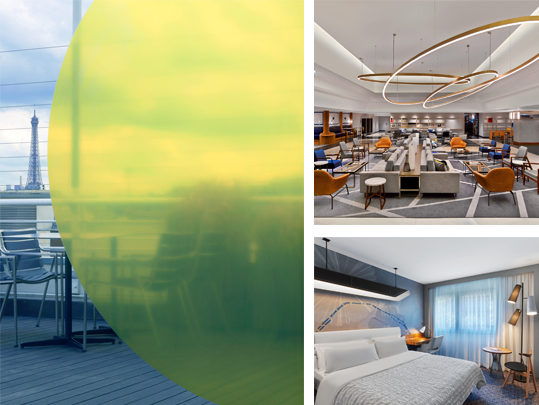 Click here (or the right button on top of the page) to benefit from the special Le Meridien Etoile rate & book directly online. Please note that 1 non refundable night charge will be requested upon reservation. 1 night stay for any cancelation before 5th May 2017. 100% stay charged for any cancelations after 6th of May 2017.